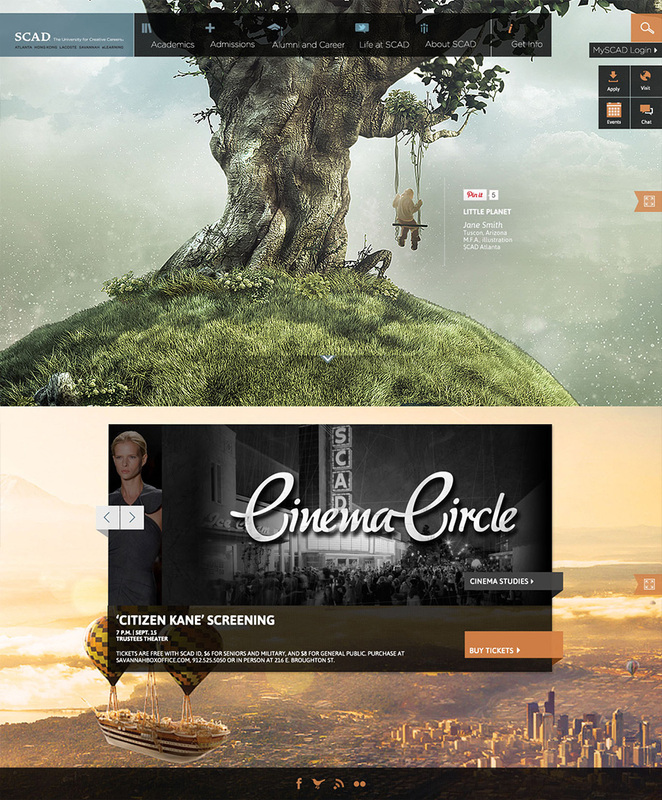 Home page focusing on student showcases. 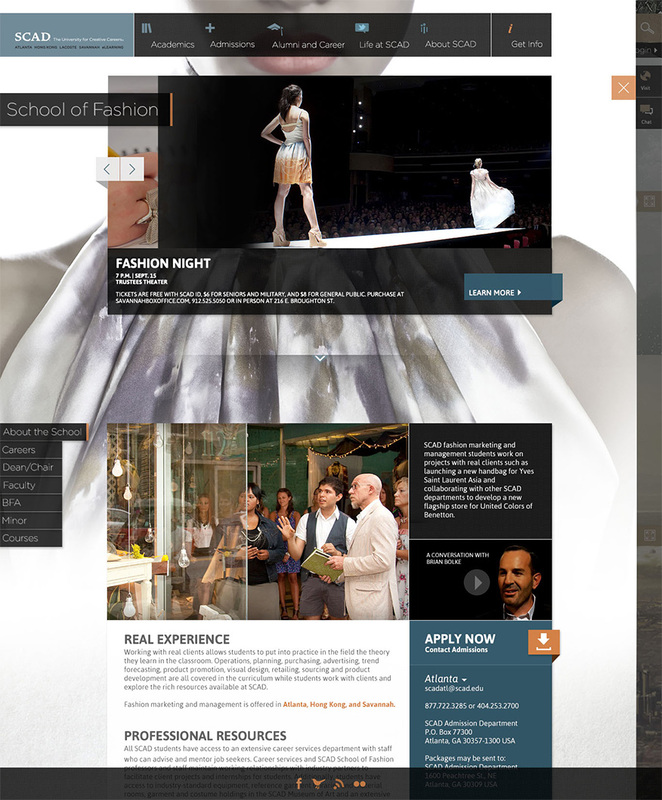 School of fashion secondary page. 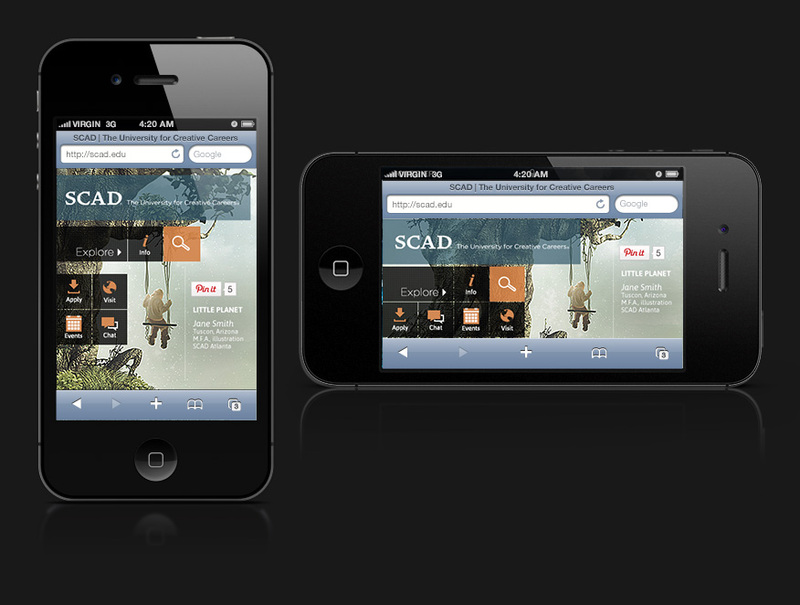 Mobile concept in portrait and landscape.